Hello ! I'm back today to share a post over on the PaperArtsy blog where the theme at the moment is glitter. Yes, I know I'm not known for glitter so it will come as no surprise that I've opted for the more subtle approach. 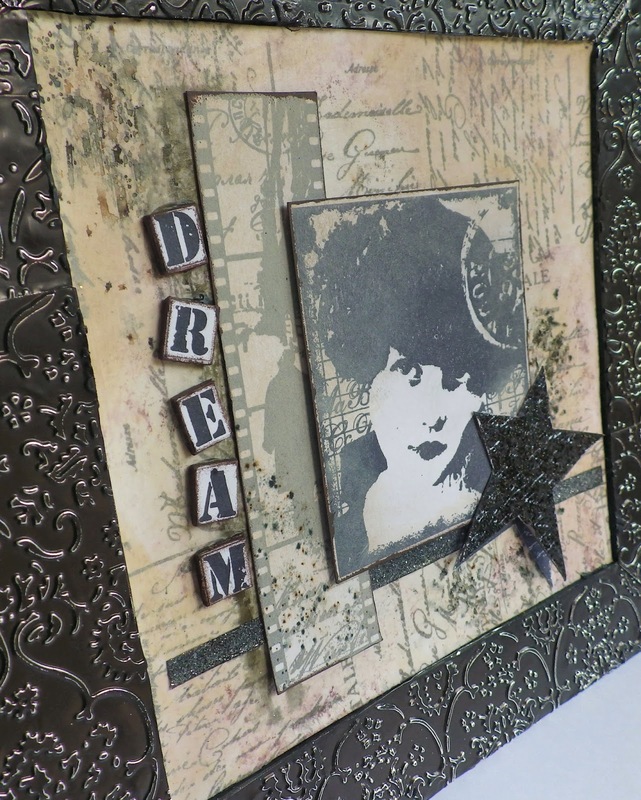 For all the details about how and why this project came together you'll need to hop over to the PaperArtsy blog. Just been enjoying this very much over at PA.